Heat oven to 350°F. Spray 9-inch round cake pan with cooking spray. Separate dough into 5 rolls; set icing aside. Unroll 1 roll into long strip of dough; reroll loosely and place in center of pan. Unroll second roll; loosely wrap around first roll, cinnamon side in, replacing any cinnamon that falls off. Repeat with remaining rolls, coiling dough in pan into spiral shape. 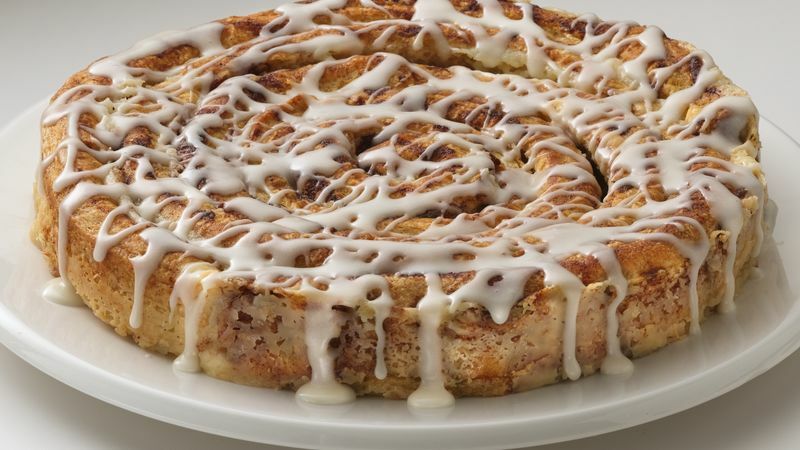 Drizzle icing over warm coffee cake. Cut into wedges; serve warm.